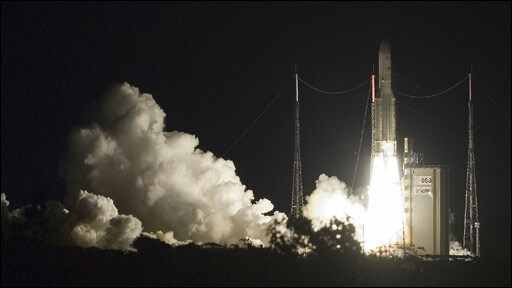 The Skynet 5C platform rode into orbit atop an Ariane 5 rocket from the Kourou spaceport in French Guiana. It joins the 5A and 5B satellites lofted successfully last year and which are already handling secure traffic for UK forces in Iraq and Afghanistan. The £3.6bn Skynet project represents the UK's single biggest space venture. The investment includes replacing and updating control centres, and the major antennas and terminals used by military ships, land vehicles and planes to communicate through the satellites. 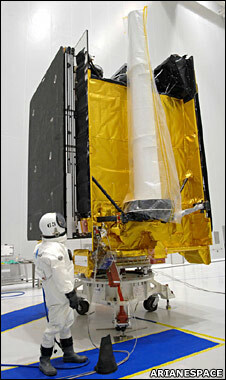 The 5C spacecraft - the last in the Skynet series - left the launch pad in Kourou at 1905 local time (2205 GMT). Skynet 5 allows the British Army, Royal Navy and Royal Air Force (RAF) to pass much more data, faster between command centres. The bandwidth capacity easily surpasses the current satellite constellation, Skynet 4, whose spacecraft are coming to the end of their design lives. "Skynet 5 is about two-and-a-half-times more capable than the previous system, and it also gives us the ability to use not just voice communication but also data communication," explains Patrick Wood from spacecraft manufacturer EADS Astrium. "So, computers can talk directly to computers, as well giving us pictures and real-time video images." This extra capability can already be seen in Afghanistan, where the RAF is using a robot surveillance plane called Reaper to hunt down Taleban forces. 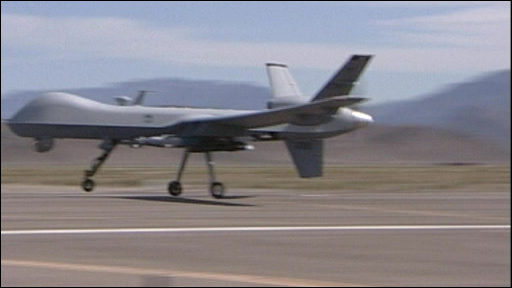 Although flying in the skies over Asia, Reaper is actually controlled by RAF personnel sitting in the US behind a computer screen. Commands are sent over Skynet 5's high-bandwidth connections, directing the robot's every move. This includes firing missiles at enemy targets. The new Skynet platforms look much like any of the other modern commercial telecommunications spacecraft launched from Kourou, but the 5s incorporate technologies that are specially prepared for military use. Four steerable antennas give them the ability to focus bandwidth onto particular locations where it is most needed - where British forces are engaged in operations. The spacecraft have also been "hardened" to withstand any interference - attempts to disable or take control of the satellites - and any efforts to eavesdrop on their sensitive communications. Classified receive-antenna technology enables the 5s to "go deaf" to signals that try to "jam" them whilst still continuing to listen to operational traffic. Security was tight in Kourou in the lead-up to 5C's launch. Sentries had been posted outside the spaceport's giant integration complex during the final phases of the launch campaign. No unofficial photography was permitted. The new Skynet infrastructure is not owned by the UK Ministry of Defence (MoD) but rather by a private company called Paradigm Secure Communications. The firm won a contract to supply satellite services to the military and has obtained City money to help fund the new-build. Its deal with the MoD runs until 2020 and guarantees UK forces a proportion of the satellites' bandwidth. Paradigm hopes to earn money for itself by selling spare capacity to Nato countries and other "friendly" forces. "Skynet 5C is actually our self-insurance," said Paradigm Managing Director Malcolm Peto. "When we committed to this programme we always promised to give the MoD a certain level of capability; and space, as we all know, is a variable environment for this type of technology. So, the importance of our third satellite is that we have an in-orbit spare should anything go wrong." Skynet 5 is the largest Private Finance Initiative (PFI) yet delivered to the MoD. The procurement model has now been copied for an even bigger project - the £13bn PFI signed with an EADS-led consortium to provide mid-air refuelling services. 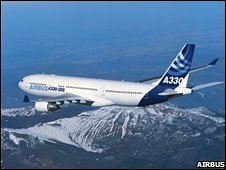 This will offer brand new tankers based on the Airbus A330-200, to replace the ageing fleet of VC-10 and Tristar aircraft. 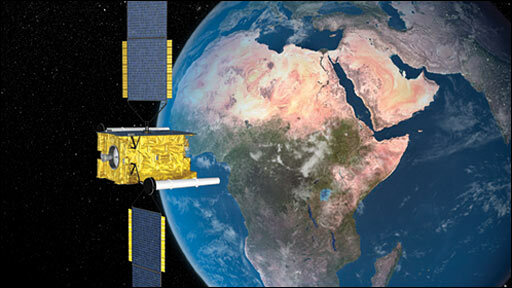 Skynet 5C was launched along with a commercial "co-passenger" - Turksat 3A, which will beam TV and other telecommunication services to Turkey, Europe and Central Asia.